Quatermass at 60 The Quatermass Experiment saw Nigel Kneale lay the foundations of what, in the era of trilogies, prequels, sequels and reboots, the entertainment biz would almost certainly call "a franchise". Kneale created Professor Bernard Quatermass, a gifted British rocket scientist whose adventures would be told and re-told eight times through TV and cinema between 1953 and 2005. Kneale created gripping TV from the start. He emptied the pubs and streets of Great Britain with the story of a failed rocket mission, lost astronauts and alien possession in The Quatermass Experiment on the BBC. Pundits theorize about how Kneale succeeded in dragging people out of the pub and establishing a figure that would be told and re-told over 50 years. This wasn't the Coronation or even England winning the World Cup in 1966 - understandable fodder for the masses. The dominant theory is that Kneale tapped into Britons' fears and paranoia of changing times: a crumbling empire, mass immigration, the rise of the Iron Curtain, A-bomb experiments and a dawning realisation of nuclear war. But Kneale did more than that. Put yourself in the shoes of a Brit in the 1950s. Space, for you, has consisted of the swashbuckling adventures of Dan Dare, Flash Gordon or Buck Rogers in comics and Saturday-morning cinema of the 1930s and 1940s, where extraterrestrials are familiar humanoid types and can be easily dispatched with a smoking laser gun. Shifting, shapeless, invasive, mind controlling? Kneale's ETs were creepy adversaries bent on dominating us and getting under our skins - literally. Yet, in The Quatermass Experiment Kneale had already shown us the alien. Like James Cameron in 1986's Aliens, where do you go once Ridley Scott's done the chest explosions and revealed what the beast looks like? Answer: you approach the story from a different angle. 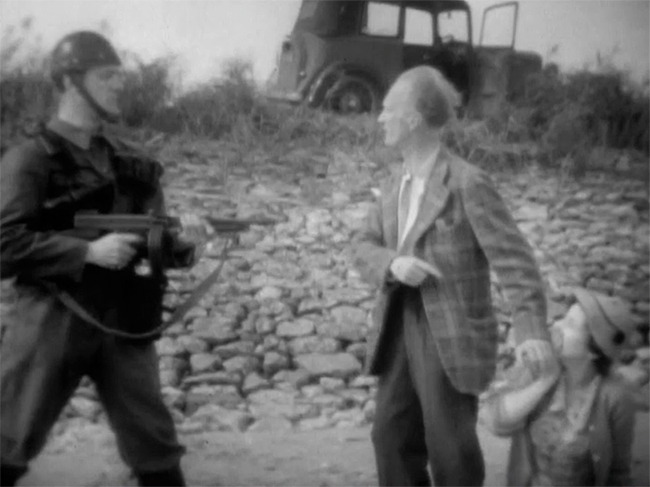 In the 1955 broadcast of Quatermass II, you barely see the alien - it's buried deep at the end of episode three and then it's only glimpsed briefly. Instead, what Kneale achieved in Quatermass II was to capitalize on Britain, its culture, society and people and to turn the familiar into a horrible alien thing. The brilliance of Quatermass II is Britain is the canvas for a chilling "what if". And, in this way, Kneale fits into strong but rarely revealed tradition of British storytelling running from the era of HG Wells to the film-makers of Ealing Studios and the 1960s. It's this which spelt success for Quatermass II and set the stamp on the Quatermass "franchise." The Quatermass II plot is simple. It even revisits a theme of The Quatermass Experiment, of an alien force using humans as its hosts and controlling them. The extra-terrestrial pests this time are crash landing on Earth in artificial meteorites. The humans they assimilate either run a massive industrial plant producing a toxic soup that’ll be used to kill life on earth and sustain the aliens, or they're being returned to government and society to be suitably docile and malleable. Quatermass himself does some super sleuthing to uncover the alien conspiracy and then leads the workers building the aliens' industrial plant in a bloody riot and takeover. Meanwhile, his rocket team discovers the aliens are coming from an asteroid hidden from detection using some clever space navigation. The climax is Quatermass landing and exploding a nuclear rocket from his British Experimental Rocket Group on the asteroid, killing the aliens and breaking the telepathic link between them and their humans hosts. Judged by today’s standards, the telling is shaky: lines, like the score, are dramatic, and words frequently get trampled by actors missing their cues and speaking too soon. There’s soliloquy, dramatic pauses and stares off camera. And when people die, there’s stumbling, twisting and choking. This is radio on TV. And don't expect a Doctor Who-style one-hour romp - Quatermass II is six finely-crafted half-hour episodes broadcast once a week, so you're watching a single plot spun over one-and-a-half months. The effects are wobbly but ambitious: models of the industrial plant swirling with oversized smoke are interspersed with real-life action while the nuclear rocket ascends with the grace of a Thunderbird on a piece of wire. One tasty titbit is a model of the English countryside receding as the rocket blasts off towards the alien asteroid, like the viewer is looking back from the rocket. It’s like Slim Pickens in Dr Strangelove, only run in reverse.